Pleased to announce that our friends at JACKSONVILLE SPEEDWAY have joined forces with us to present some lucky winner with a BRAND NEW 2018 HONDA Recon 4 Wheeler! The winning name will be drawn from show attendees on Sunday, January 14, 2018 at the Midwest Speed Expo! Commemorating our 15th Annual Expo! Winner must be present to win! Our way of saying THANK YOU for 15 great years! 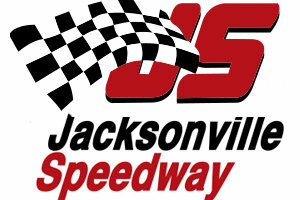 Thanks to Kenny Dobson and our friends at JACKSONVILLE SPEEDWAY for their support of the MIDWEST SPEED EXPO! JACKSONVILLE SPEEDWAY would like to remind everyone, The World of Outlaws will make a return visit to Jacksonville Speedway on Friday April 13th, 2018. This event will be even bigger than the past two Outlaw events with this one paying a full Weekend Outlaw purse of $10,000 to win – For sure the richest payout and biggest event in the history of Jacksonville Speedway. Tickets will sell out well in advance of this event. To order yours, act today before you miss out on being able to attend!